Wisdom teeth pain that lasts or becomes uncomfortable is a signal to schedule a dental examination. It is common for wisdom teeth removal to be necessary when they cause pain, become impacted, or affect the growth and development of your surrounding teeth. Your wisdom teeth are the upper and lower (third) molars. They are located at the back of your mouth and are the last teeth to emerge as you age. Wisdom teeth pain is typically caused when they become impacted. Your impacted wisdom teeth will grow in a sideways direction, will emerge only slightly above your gum line, or will become trapped below your gum and jaw bone tissue. You will feel pressure in the area where your wisdom teeth are impacted. Wisdom teeth pain worsens as they push the surrounding teeth out of position. It's also common for impacted wisdom teeth to affect your gum health. Oral bacteria can become trapped near or around your wisdom tooth causing pain, swelling, and infection. 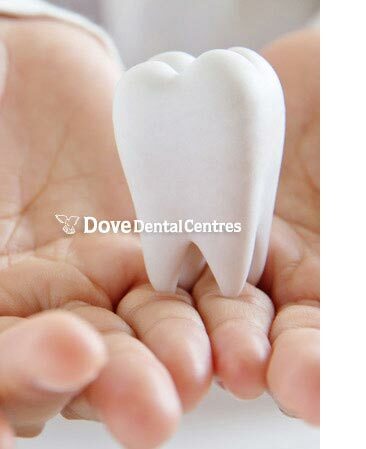 Your wisdom teeth are vulnerable to tooth decay as well. They can emerge partially or become difficult to see or reach when brushing or flossing leading to the risk of bacteria growth, decay, or gum disease. Your wisdom teeth symptoms starting with pain can indicate that they're slow to emerge, are emerging crooked, or are crowding your surrounding teeth. Patience and observation are the first step before deciding on wisdom teeth removal. Their phase of growth and development is a consideration and should be monitored prior to any removal procedure. Removing your wisdom teeth and eliminating your wisdom teeth pain is an oral surgery procedure. Local anesthesia is used to numb the treatment area and other sedation methods are available to assure a comfortable procedure.